Open publication and industrial protection are similarly considered in our group. The list below shows open publications, for patents please see any database (scifinder, scopus, spacenet…). 78. Stefan Wild, Michael Fickert, Aleksandra Mitrovic, Vicent Lloret, Christian Neiss, José Alejandro Vidal-Moya, Miguel Ángel Rivero-Crespo, Antonio Leyva-Pérez, Katharina Werbach, Herwig Peterlik, Mathias Grabau, Haiko Wittkämper, Christian Papp, Hans-Peter Steinrück, Thomas Pichler, Andreas Görling, Frank Hauke, Gonzalo Abellán and Andreas Hirsch.Lattice Opening Upon Bulk Reductive Covalent Functionalization of Black Phosphorus. Angew. Chem. Int. Ed. 2019, accepted article. 77. Estefanía Fernández, Miguel A. Rivero-Crespo, Irene Domínguez, Paula Rubio-Marqués, Judit Oliver-Meseguer, Lichen Liu, María Cabrero-Antonino, Rafael Gavara, Juan Carlos Hernandez-Garrido, Mercedes Boronat, Antonio Leyva-Perez, and Avelino Corma. Base–controlled Heck, Suzuki and Sonogashira reactions catalyzed by ligand–free platinum or palladium single atom and sub–nanometer clusters. J. Am. Chem. Soc. 2019, 141, 1928-1940. 76. Vicent Lloret, Miguel Ángel Rivero–Crespo, José Alejandro Vidal–Moya, Stefan Wild, Antonio Doménech–Carbó, Bettina S.J. Heller, Sunghwan Shin, Hans-Peter Steinrück, Florian Maier, Frank Hauke, Maria Varela, Andreas Hirsch, Antonio Leyva–Pérez and Gonzalo Abellán. Few layer 2D pnictogens (P & Sb) catalyze the alkylation of soft nucleophiles with esters. Nat. Commun. 2019, 10, 509. 75. Rivero-Crespo, Miguel Ángel; Mon, Marta; Ferrando-Soria, Jesús; Lopes, Christian. W.; Boronat, Mercedes; Leyva Pérez, Antonio; Avelino Corma Canós; Hernández-Garrido, Juan Carlos; López-Haro, Miguel; Calvino, Jose J.; Ramos Fernández, Enrique V.; Armentano, Donatella; Pardo, Emilio. Confined Pt11+ Water Clusters in a MOF Catalyze the Low-Temperature Water–Gas Shift Reaction with both CO2 Oxygen Atoms Coming from Water. Angew. Chem. Int. Ed. 2018, 57, 17094-17099. 74. María Tejeda-Serrano, Marta Mon, Bethany Ross, Francisco Gonell, Jesús Ferrando-Soria, Avelino Corma, Antonio Leyva-Pérez, Donatella Armentano, Emilio Pardo. Isolated Fe(III)−O Sites Catalyze the Hydrogenation of Acetylene in Ethylene Flows under Front-End Industrial Conditions. J. Am. Chem. Soc. 2018, 140, 8827–8832. 73. Marta Mon, Miguel A. Rivero-Crespo, Jesús Ferrando-Soria, Alejandro Vidal-Moya, Mercedes Boronat, Antonio Leyva-Pérez, Avelino Corma, Juan C. Hernández-Garrido, Miguel López-Haro, José J. Calvino, Giulio Ragazzon, Alberto Credi, Donatella Armentano, Emilio Pardo. Synthesis of Densely Packaged, Ultrasmall Pt0 2 Clusters within a Thioether-Functionalized MOF: Catalytic Activity in Industrial Reactions at Low Temperature. Angew. Chem. Int. Ed. 2018, 57, 6186–6191. 72. Judit Oliver-Meseguer, Mercedes Boronat, Alejandro Vidal-Moya, Patricia Concepción, Miguel Ángel Rivero-Crespo, Antonio Leyva-Pérez, and Avelino Corma. Generation and Reactivity of Electron-Rich Carbenes on the Surface of Catalytic Gold Nanoparticles. J. Am. Chem. Soc. 2018, 140, 3215−3218. 71. María Tejeda Serrano; Adam, Rosa; Ferrando-Soria, Jesús; Corma, Avelino; Armentano, Donatella; Pardo, Emilio; Antonio Leyva Pérez. 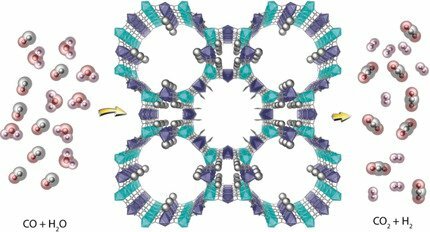 Stabilized Ru[(H2O)6]3+ in Confined Spaces (MOFs and Zeolites) Cata-lyzes the Imination of Primary Alcohols under Atmospheric Conditions with Wide Scope. ACS Catal. 2018, 8, 10401-10406. 70. Avelino Corma, Antonio Leyva-Pérez and Miguel Ángel Rivero-Crespo. Ligand-free subnanometre gold metal clusters and their applications. RSC book series Catalysis, volume 30. 2018. 69. Jose R. Cabrero Antonino; María Tejeda Serrano; Manuel Quesada; Jose A. Vidal Moya; Antonio Leyva Pérez; Avelino Corma Canós. Bimetallic nanosized solids with acid and redox properties for catalytic activation of C–C and C–H bonds. Chem. Sc. 2017, 8, 689. 68. Judit Oliver Meseguer; Antonio Doménech Carbó; Mercedes Boronat; Antonio Leyva Pérez; Avelino Corma Canós. Partial Reduction and Selective Transfer of Hydrogen Chloride on Catalytic Gold Nanoparticles. Angew. Chem. Int. Ed. 2017, 56, 6435 – 6439. 67. Francisco R. Fortea Pérez; Marta Mon; Jesús Ferrando Soria; Boronat, Mercedes; Antonio Leyva Pérez; Corma, Avelino; Herrera, Juan Manuel; Osadchii, Dmitrii; Jorge Gascon; Donatella Armentano; Emilio Pardo. The MOF-driven synthesis of supported palladium clusters with catalytic activity for carbene-mediated chemistry. Nat. Mater. 2017, 16, 760 –767. 66. Miguel A. Rivero Crespo; Antonio Leyva Pérez; Avelino Corma Canós. A Ligand-Free Pt3 Cluster Catalyzes the Markovnikov Hydrosilylation of Alkynes with up to 106 Turnover Frequencies. Chem. Eur. J. 2017, 23, 1702 – 1708. 65. Judit Oliver Meseguer; Irene Dominguez; Rafael Gavara; Antonio Leyva Pérez; Avelino Corma Canós. Disassembling Metal Nanocrystallites into Sub-nanometric Clusters and Low-faceted Nanoparticles for Multisite Catalytic Reactions. ChemCatChem. 2017, 9, 1429-1435. 64. María Tejeda Serrano; López Haro, Miguel; Cabrero Antonino, Jose R.; Hernández Garrido, Juan C.; Mainar Ruiz, Virginia; Calvino, Jose J.; Antonio Leyva Pérez; Avelino Corma Canós. Synthesis of Supported Planar Iron Oxide Nanoparticles and Their Chemo- and Stereoselectivity for Hydrogenation of Alkynes. ACS Catal. 2017, 7, 3721-3729. 63. Judit Oliver Meseguer; Irene Dominguez; Rafael Gavara; Antonio Doménech Carbó; J. M. González Calbet; Antonio Leyva Pérez; Avelino Corma Canós. 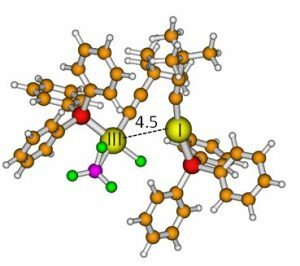 The wet synthesis and quantification of ligand-free sub-nanometric Au clusters in solid matrices. Chem. Commun. 2017, 53, 1116-1119. 62. M. Mon, J. Ferrando-Soria, T. Grancha, F. R. Fortea-Pérez, J. Gascon, A. Leyva-Pérez, D. Armentano, E. Pardo. Selective Gold Recovery and Catalysis in a Highly Flexible Methionine-Decorated Metal−Organic Framework. J. Am. Chem. Soc. 2016, 138, 7864−7867. 61. Lichen Liu; Toshiyuki Matsushita; Patricia Concepción; Antonio Leyva Pérez; Avelino Corma. Facile Synthesis of Surface-Clean Monodispersed CuOx Nanoparticles and Their Catalytic Properties for Oxidative Coupling of Alkynes. ACS Catal. 2016, 6, 2211-2221. 60. P. Rubio–Marqués, M. A. Rivero–Crespo, A. Leyva–Pérez, A. Corma. Well defined noble metal single sites in zeolites as an alternative to catalysis by insoluble metal salts. J. Am. Chem. Soc. 2015, 137, 11832−11837. 59. A. Leyva–Pérez, A. Doménech–Carbó, A. Corma. Unique distal size selectivity with a digold catalyst during alkyne homocoupling. Nature Commun. 2015, 6, 6703. 58. J. R. Cabrero–Antonino, A. Leyva–Pérez, A. Corma. Beyond Acid Strength in Zeolites: Soft Framework Counteranions for Stabilization of Carbocations on Zeolites and Its Implication in Organic Synthesis. Angew. Chem. Int. Ed. 2015, 54, 5658–5661. 57. Judit Oliver Meseguer; Lichen Liu; Saray Garcia Garcia; Claudia Canos Gimenez; Irene Dominguez; Rafael Gavara; Antonio Doménech Carbó; Patricia Concepcion; Antonio Leyva Pérez; Avelino Corma Canós. Stabilized Naked Sub-nanometric Cu Clusters within a Polymeric Film Catalyze C−N, C−C, C−O, C−S, and C−P Bond-Forming Reactions. J. Am. Chem. Soc. 2015, 137, 3894-3900. 56. Mercedes Boronat; Antonio Leyva Pérez; Avelino Corma Canós. Theoretical and Experimental Insights into the Origin of the Catalytic Activity of Subnanometric Gold Clusters: Attempts to Predict Reactivity with Clusters and Nanoparticles of Gold. Acc. Chem. Res. 2014, 47, 834-844. 55. Paula Rubio Marqués; Juan Carlos Hernández Garrido; Antonio Leyva Pérez; Avelino Corma Canós. One pot synthesis of cyclohexanone oxime from nitrobenzene using a bifunctional catalyst. Chem. Commun. 2014, 50, 1645-1647. 54. Mercedes Boronat; Siris Laursen; Antonio Leyva Pérez; Judit Oliver Meseguer; Diego Combita; Avelino Corma. Partially oxidized gold nanoparticles: A catalytic base-free system for the aerobic homocoupling of alkynes. J. Catal. 2014, 315, 6-14. 53. Antonio Leyva Pérez; Jose R. Cabrero Antonino; Paula Rubio Marqués; S. I. Al-Resayes; Avelino Corma Canós. Synthesis of the ortho/metha/para isomers of relevant pharmaceutical compounds by coupling a Sonogashira reaction with a regioselective hydration. ACS Catal. 2014, 4, 722-731. 52. Antonio Leyva Pérez; Pilar García García; Avelino Corma Canós. Multisite Organic–Inorganic Hybrid Catalysts for the Direct Sustainable Synthesis of GABAergic Drugs. Angew. Chem. Int. Ed. 2014, 53, 8687-8690. 51. Antonio Leyva Pérez; Judit Oliver Meseguer; Paula Rubio Marqués; Avelino Corma Canós. Water-Stabilized Three- and Four-Atom Palladium Clusters as Highly Active Catalytic Species in Ligand-Free CC Cross-Coupling Reactions. Angew. Chem., Int. Ed. 2013, 52, 11554-11559. 50. Paula Rubio Marqués; Antonio Leyva Pérez; Avelino Corma Canós. A bifunctional palladium/acid solid catalyst performs the direct synthesis of cyclohexylanilines and dicyclohexylamines from nitrobenzenes. Chem. Commun. 2013, 49, 8160-8162. 49. Judit Oliver Meseguer; Antonio Leyva Pérez; Saud I. Al-Resayes; Avelino Corma Canós. Formation and stability of 3–5 atom gold clusters from gold complexes during the catalytic reaction: dependence on ligands and counteranions. Chem. Commun. 2013, 49, 7782-7784. 48. Jose R. Cabrero Antonino; Antonio Leyva Pérez; Avelino Corma Canós. Iron(III) Triflimide as a Catalytic Substitute for Gold(I) in Hydroaddition Reactions to Unsaturated Carbon–Carbon Bonds. Chem Eur. J.. 2013, 19, 8627-8633. 47. Francisco G. Cirujano; Antonio Leyva Pérez; Avelino Corma Canós; Frances X. Llabrés Xamena. MOFs as Multifunctional Catalysts: Synthesis of Secondary Arylamines, Quinolines, Pyrroles, and Arylpyrrolidines over Bifunctional MIL-101. ChemCatChem. 2013, 5, 538-549. 46. Antonio Leyva Pérez; Diego Cómbita Merchán; Jose R. Cabrero Antonino; S. I. Al-Resayes; Avelino Corma Canós. Oxyhalogenation of activated arenes with nanocrystalline ceria. ACS Catal. 2013, 3, 250-258. 45. Antonio Leyva Pérez; Judit Oliver Meseguer; Jose R. Cabrero Antonino; Paula Rubio Marqués; Pedro Serna; Saud I. Al-Resayes; Avelino Corma Canós. Reactivity of Electron-Deficient Alkynes on Gold Nanoparticles. ACS Catal. 2013, 3, 1865-1873. 44. Judit Oliver Meseguer; Antonio Leyva Pérez; Avelino Corma Canós. Very Small (3–6 Atoms) Gold Cluster Catalyzed Carbon–Carbon and Carbon–Heteroatom Bond-Forming Reactions in Solution. ChemCatChem. 2013, 5, 3509-3515. 43. Judit Oliver Meseguer; Jose R. Cabrero Antonino; Irene Domínguez; Antonio Leyva Pérez; Avelino Corma Canós. Small gold clusters formed in solution give reaction turnover numbers of 107 at room temperature. Science 2012, 338, 1452-1455. 42. Antonio Leyva Perez; Avelino Corma Canós. Similarities and Differences between the Relativistic Triad Gold, Platinum, and Mercury in Catalysis. Angew. Chem., Int. Ed. 2012, 51, 614-635. 41. Sophie Carenco; Antonio Leyva Perez; Patricia Concepción Heydorn; Cédric Boissière; Nicolas Mézailles; Clément Sanchez; Avelino Corma Canós. Nickel phosphide nanocatalysts for the chemoselective hydrogenation of alkynes. Nano Today 2012, 7, 21-28. 40. Antonio Doménech Carbó; Antonio Leyva Perez; S. I. Al-Resayes; Avelino Corma Canós. Electrochemical monitoring of the oxidative coupling of alkynes catalyzed by triphenylphosphine gold complexes. Electrochem. Commun. 2012, 19, 145-148. 39. Antonio Leyva Perez; Antonio Doménech Carbó; S. I. Al-Resayes; Avelino Corma Canós. Gold Redox Catalytic Cycles for the Oxidative Coupling of Alkynes. ACS Catal. 2012, 2, 121-126. 38. Jose Ramón Cabrero Antonino; Antonio Leyva Perez; Avelino Corma Canós. Regioselective Hydration of Alkynes by Iron(III) Lewis/Bronsted Catalysis. Chem Eur. J.. 2012, 18, 11107-11114. 37. Jose Ramón Cabrero Antonino; Antonio Leyva Perez; Avelino Corma Canós. Iron-Catalysed Markovnikov Hydrothiolation of Styrenes. Adv. Synth. Catal. 2012, 354, 678-687. 36. Avelino Corma Canós; Antonio Leyva Perez; Paula Rubio Marqués; S. S. Al-Deyab; S. I. Al-Resayes. Cationic Gold Catalyzes Omega-Bromination of Terminal Alkynes and Subsequent Hydroaddition Reactions. ACS Catal. 2011, 1, 601-606. 35. Jose Ramón Cabrero Antonino; Maria Teresa Garcia Fernandez; Paula Rubio Marqués; José Alejandro Vidal Moya; Antonio Leyva Perez; S. S. Al Deyab; S. I. Al Resayes; Urbano M. Díaz Morales; Avelino Corma Canós. Synthesis of Organic-Inorganic Hybrid Solids with Copper Complex Framework and Their Catalytic Activity for the S-Arylation and the Azide-Alkyne Cycloaddition Reactions. ACS Catal. 2011, 1, 147-158. 34. Antoine Français; Antonio Leyva Perez; Gorka Etxebarria Jardi; Javier Peña; Steven V. Ley. Total Synthesis of Iso- and Bongkrekic Acids: Natural Antibiotics Displaying Potent Antiapoptotic Properties. Chem Eur. J.. 2011, 17, 329-343. 33. Avelino Corma Canós; Antonio Leyva Perez; Mª José Sabater Picot. Gold-Catalyzed Carbon-Heteroatom Bond-Fiorming Reactions. Chem. Rev. 2011, 111, 1657-1712. 32. Antonio Leyva Perez; Jose Ramón Cabrero Antonino; Avelino Corma Canós. Bifunctional solid catalysts for chemoselective hydrogenation-cyclisation-amination cascade reactions of relevance for the synthesis of pharmaceuticals. Tetrahedron 2010, 66, 8203-8209. 31. Antonio Leyva Perez; José Alejandro Vidal Moya; Jose Ramón Cabrero Antonino; S. S. Al-Deyab; S. I. Al-Resayes; Avelino Corma Canós. Copper(I)-catalyzed hydrophosphination of styrenes. J. Organometallic Chem. 2010, 696, 362-367. 30. Violeta Rodriguez Ruiz; Alexandra Velty . ; Laura Santos; Antonio Leyva Perez; Mª José Sabater Picot; Sara Iborra Chornet; Avelino Corma Canós. Gold catalysts and solid catalysts for biomass transformations: valorization of glycerol and glycerol-water mixtures through formation of cyclic acetals. J. Catal. 2010, 271, 351-357. 29. Antonio Leyva Perez; Jose Ramón Cabrero Antonino; Angel Cantin Sanz; Avelino Corma Canós. Gold(I) catalyses the intermolecular hydroenamination of alkynes with imines and produces alfa,alfa-N-triarylbisenamines: studies on their use as intermediates in synthesis. J. Org. Chem. 2010, 75, 7769-7780. 28. Jose Ramón Cabrero Antonino; Antonio Leyva Perez; Avelino Corma Canós. Iron-catalysed regio- and stereoselective head-to-tail dimerisation of styrenes. Adv. Synth. Catal. 2010, 352, 1571-1576. 27. Avelino Corma Canós; Violeta Rodriguez Ruiz; Antonio Leyva Perez; Mª José Sabater Picot. Regio- and stereoselective intermolecular hydroalkoxylation of alkynes catalysed by cationic gold(I) complexes. Adv. Synth. Catal. 2010, 352, 1701-1710. 26. Antoine Français; Antonio Leyva Perez; Gorka Etxebarria Jardi; Steven V. Ley. Total Synthesis of the Anti-Apoptotic Agents Iso- and Bongkrekic Acids. Org. Lett. 2010, 12, 340-343. 25. Antonio Leyva Perez; Xin Zhang ; Avelino Corma Canós. Chemoselective hydroboration of alkynes vs. alkenes over gold catalysts. Chem. Commun. 2009, 4947-4949. 24. Antonio Leyva Perez; Avelino Corma Canós. Reusable Gold (I) catalysts with unique regioselectivity for intermolecular hydroamination of alkynes. Adv. Synth. Catal. 2009, 351, 2876-2886. 23. Antonio Leyva Perez; Avelino Corma Canós. Isolable gold(I) complexes having one low-coordinating ligand as catalysts for the selective hydration of substituted alkynes room temperature without acidic promoters. J. Org. Chem. 2009, 74, 2067-2074. 22. Antonio Leyva Perez; Francesca E. Blum; Peter R. Hewitt; Steven V. Ley. Functionalized butanediacetal-protected 1,2-diols as suitable partners for Pd-catalyzed cross-coupling reactions. Tetrahedron 2008, 64, 2348-2358. 21. Antonio Leyva Perez; Francesca E. Blum; Steven V. Ley.A new synthesis of (-)-Epypiriculol, a phytotoxic metabolite. Tetrahedron 2008, 64, 4711-4717. 20. Maria Mercedes Alvaro Rodríguez; Miriam Benitez Serra; José Francisco Cabeza Martínez; Hermenegildo García Gómez; Antonio Leyva Perez. Electrochemiluminescence of a Periodic Mesoporous Organosilica Containing 9,10-Diarylanthracene Units. J. Phys. Chem. C. 2007, 111, 7532-7538. 19. Antonio Leyva Perez; Hermenegildo García Gómez; Avelino Corma Canós. A soluble polyethyleneglycol-anchored phosphine as a highly active, reusable ligand for Pd-catalyzed couplings or aryl chlorides:comparison with cross and non-cross-linked polystyrene and silica supports. Tetrahedron 2007, 63, 7097-7111. 18. Avelino Corma Canós; Hermenegildo García Gómez; Antonio Leyva Perez. Polyethylene glycol as scafforld and solvent for reusable C-C coupling homogeneous Pd catalysts. J. Catal. 2006, 2, 87-99. 17. Elena Reale; Antonio Leyva Perez; Avelino Corma Canós; Mª Cristina Martínez Sánchez; Hermenegildo García Gómez; Fernando Rey Garcia. A fluoride-catalyzed sol-gel route to catalytically active non-ordered mesoporous silica materials in the absence of surfactants. J. Mater. Chem. 2005, 15, 1742-1754. 16. Avelino Corma Canós; Debashis Das; Hermenegildo García Gómez; Antonio Leyva Perez. A periodic mesoporous organosilica containing a carbapalladacycle complex as heterogeneous catalyst for Suzuki cross-coupling. J. Catal. 2005, 229, 322-331. 15. Avelino Corma Canós; Hermenegildo García Gómez; Antonio Leyva Perez. Catalytic activity of palladium supported on single wall carbon nanotubes compared to palladium supported on activated carbon. Study of the Heck and Suzuki couplings, aerobic alcohol oxidation and selective hydrogenation. J. Mol. Catal. A 2005, 230, 97-105. 14. Avelino Corma Canós; Hermenegildo García Gómez; Antonio Leyva Perez. Comparison between polyethylene glycol and imidazolium ionic liquids as solvents for developing a homogeneous and reusable palladium catalytic system for the Suzuki and Sonogashira coupling. Tetrahedron 2005, 61, 9848-9854.
cycloisomerization of 2,2-diallylmalonates in imidazolium ionic liquids. J. Organometallic Chem. 2005, 690, 3529-3534. 12. Antonio Domenech Carbó; Rosa Belén Ferrer Ribera; Vicente Fornes Seguí; Hermenegildo García Gómez; Antonio Leyva Perez. Ship-in-a-bottle synthesis of triphenylamine inside faujasite supercages and generation of the triphenylamminium radical ion. Tetrahedron 2005, 61, 791-796. 11, Avelino Corma Canós; Hermenegildo García Gómez; Antonio Leyva Perez; Ana Maria Primo Arnau. Alkali-exchanged sepiolites containing palladium as bifunctional (basic sites and noble metal)catalysts for Heck Suzuki reactions. Appl. Catal. A 2004, 257, 77-83. 10. Avelino Corma Canós; Hermenegildo García Gómez; Antonio Leyva Perez. An imidazolium ionic liquid having covalently attached an oxime carbapalladacycle complex as ionophilic heterogeneous catalysts for the Heck and Suzuki-Miyaura cross-coupling. Tetrahedron 2004, 60, 8553-8560. 9. Pilar Formentin; Hermenegildo García Gómez; Antonio Leyva Perez. Assessment of the suitability of imidazolium ionic liquids as reaction medium for base-catalyzed reactions. Case of Knoevenagel and Claisen-Schmidt reactions. J. Mol. Catal. A 2004, 214, 137-142. 8. Avelino Corma Canós; Hermenegildo García Gómez; Antonio Leyva Perez. Controlling the softness-hardness of Pd by strong metal-zeolite interaction: cyclisation of diallylmalonate as a test reaction. J. Catal. 2004, 225, 350-358. 7. Maria Mercedes Alvaro Rodríguez; Rosa Belén Ferrer Ribera; Hermenegildo García Gómez; Antonio Leyva Perez. Preparation and photochemical properties of p-phenylene oligomers encapsulated within faujasite Y. PhysChemChemPhys. 2004, 6, 201-204. 6. Maria Mercedes Alvaro Rodríguez; Debashis Das; Hermenegildo García Gómez; Antonio Leyva Perez. Supercritical CO2 as a superior solvent for the cyclization of diallylmalonate catalyzed by palladium-containing zeolites. Tetrahedron 2004, 60, 8131-8135. 5. Carlos Calisto Baleizao; Avelino Corma Canós; Hermenegildo García Gómez; Antonio Leyva Perez. Oxime Carbapalladacycle covantly anchored to high surface area inorganic supports or polymers as heterogeneous green catalysts for the suzuki reaction in water. J. Org. Chem. 2004, 69, 439-446. 4. Carlos Calisto Baleizao; Avelino Corma Canós; Hermenegildo García Gómez; Antonio Leyva Perez. An oxime-carbapalladacycle complex covalently anchored to silica as an active and reusable heterogenous catalyst for Suzuki cross-coupling in water. Chem. Commun. 2003, 5, 606-607. 3. Avelino Corma Canós; Hermenegildo García Gómez; Antonio Leyva Perez; Ana Maria Primo Arnau. Basic zeolites containing palladium as bifunctional heterogeneous catalysts for the Heck reaction. Appl. Catal. A 2003, 247, 41-49. 2. Avelino Corma Canós; Hermenegildo García Gómez; Antonio Leyva Perez. Heterogeneous Baylis-Hillman using a polystyrene-bound 4-(N-benzyl-N-methylamino)pyridine as reusable catalyst. Chem. Commun. 2003, 2806-2807. 1. Avelino Corma Canós; Hermenegildo García Gómez; Antonio Leyva Perez. Bifunctional palladium-basic zeolites as catalyst for Suzuki reaction. Appl. Catal. A 2002, 236, 179-185.